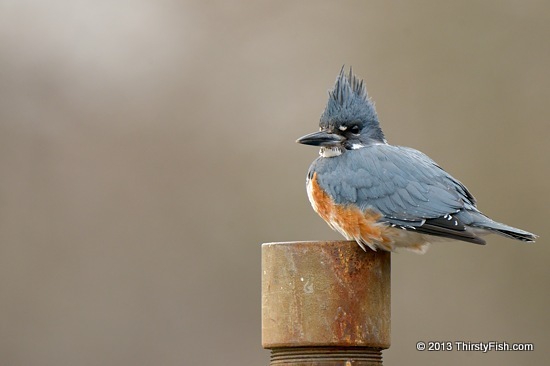 We were back at Bombay Hook National Wildlife Refuge couple of weekends ago and this Female Belted Kingfisher was there, enduring the cold and the wind. For approximately 15 minutes, she modeled for us on this pole, showing off her shaggy crest. Please visit the Bombay Hook National Wildlife Refuge website.